RALEIGH, North Carolina (WTVD) -- Taking her grandmother's advice led Alyssa Ellington of Henderson to win a $150,000 lottery prize. "I won because of her," Ellington said. 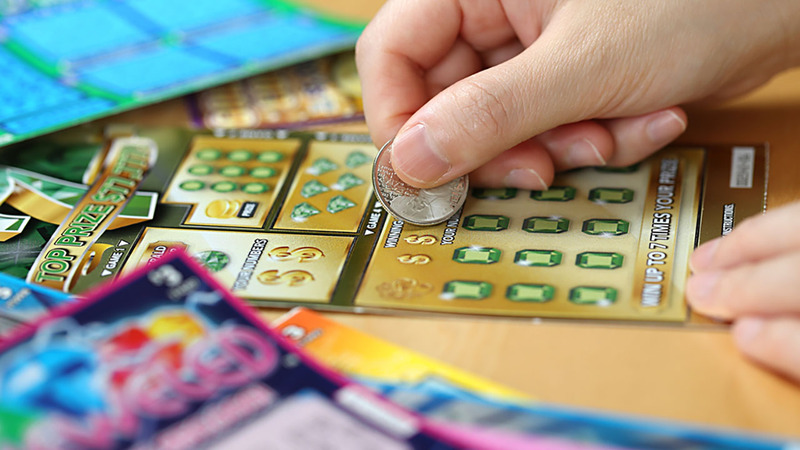 She was at the Metro Food Mart Inc. on North Garnett Street in Henderson when Ellington's grandmother told her to buy a Wheel of Fortune scratch-off ticket. "She likes watching the show (which airs weeknights at 7:30 p.m. on ABC11)," Ellington said. "So she thought I should get it." Ellington did, and it ended up being worth $150,000. "I couldn't believe it," Ellington said. "I was so nervous about winning I couldn't sleep last night." She claimed her prize Wednesday at lottery headquarters in Raleigh. After required state and federal tax withholdings, Ellington took home $103,286. She plans to use some of the money to take her grandmother on vacation. No decision on where they're going yet, but grandmother wants to go to Myrtle Beach. Wheel of Fortune launched in June. Since Ellington won the last top prize, the lottery will take steps to end the game.